The Centers for Disease Control and Prevention (CDC) estimates 14 million Americans are diagnosed each year with the human papillomavirus (HPV), the most common sexually transmitted infection in the United States. While most HPV infections are harmless and clear naturally, a small percentage of patients diagnosed with HPV will eventually develop cervical cancer – responsible for about 4,000 deaths each year in this country. In 2006, the FDA approved the first HPV vaccine, Gardasil®, for use in females between 9 and 26 years old. It was the first time a safe and effective anti-cancer vaccine was available and being offered. A little over a decade later, the FDA approved use of the Gardasil®9 HPV vaccine in males and females between 27 and 45 years old, expanding the previous recommendation. Gardasil®9 prevents infections with “high-risk” HPV types most commonly found in several cancers worldwide, including cervical cancer. The vaccine also protects against “low-risk” HPV types associated with most cases of genital warts. Despite the effectiveness of the immunization for cancer prevention, vaccine use has been anything but universal. Parents mistakenly feel the vaccine might encourage sexual behavior or carry other risks. Permanente physicians, dedicated to the practice of evidence-based care, have developed innovative approaches to overcome this misinformation and increase the opportunities for teens and young adults to receive the vaccination. 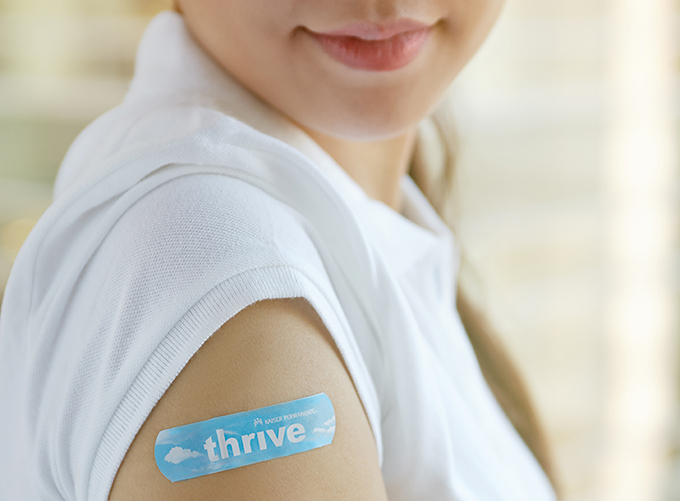 As one of the primary women and children’s health goals at Kaiser Permanente, advocacy for the HPV vaccine is present in workstreams at both the regional and national level. A multi-disciplinary interregional group has organized several programs and is piloting innovative approaches to increase vaccination rates using various patient, parent, and provider educational programs. For example, these programs utilize “motivational interviewing,” address parental hesitation about the vaccine, and provide key talking points that clinicians can use when educating patients and parents about the HPV vaccine. Additionally, compared to traditional screening using the combination HPV and Pap smear testing, the Permanente Medicine approach to care supports early diagnosis and prevention of cervical cancer through primary screening for the HPV virus, the primary cause of cervical cancer. This standard of care is quickly spreading throughout the organization, further supported by Kaiser Permanente’s integrated care delivery system, which encourages timely and ongoing screening through patient reminders, outreach, and point-of-care practices. The sheer number of HPV cases make it a key global public health priority, but the advancements in vaccines and screening make cervical cancer entirely preventable and avoidable for thousands of women every year. January is Cervical Health Awareness Month. For more information on how you can build awareness, visit one of Kaiser Permanente’s partner organizations, the National HPV Roundtable.